demands and characteristics of the market. 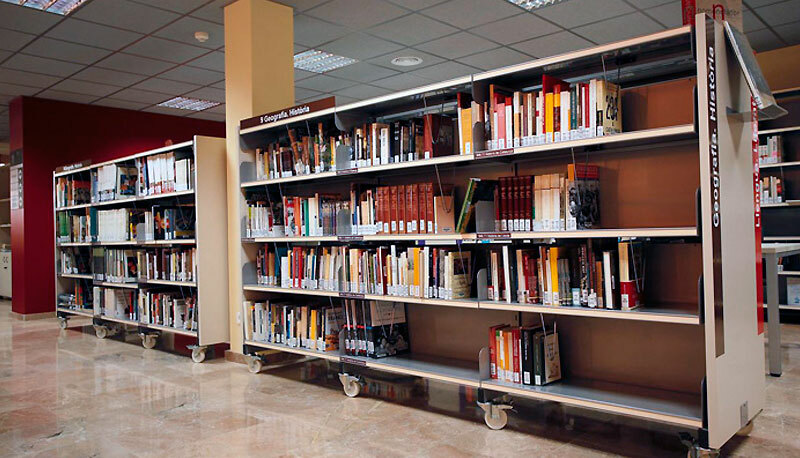 We fabricate all types of library furniture, including: metal or mixed shelving, reading tables, reception counters, complementary furniture and side furniture. 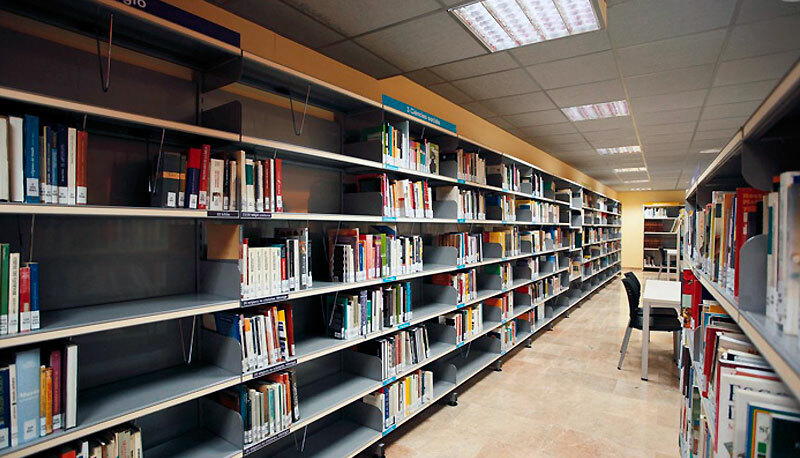 Composed of metal shelves with grooved rectangular steel tube sides for grading trays made of steel sheet. Available in four heights and three widths, with horizontal trays, fixed displays or displays with rear storage. The program has individual or initial modules, both simple and double-sided and extensions to them. 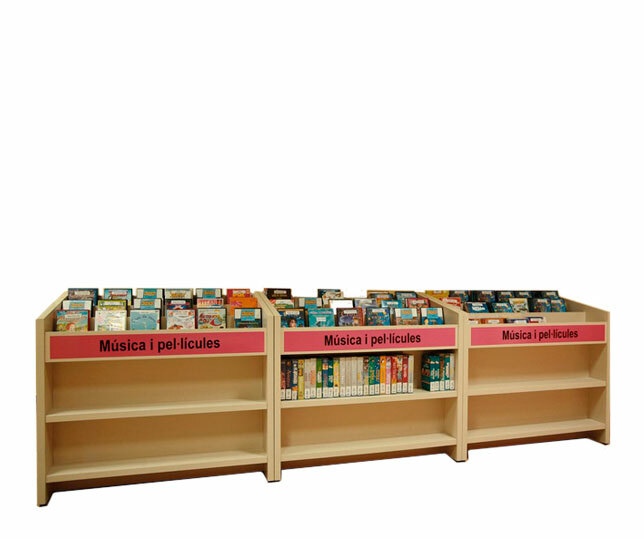 Composed of mixed shelves (melamine-metal) with 30 mm melamine sides in beech, white, walnut or wengué colour, with PVC edge, adjustable rack for graduation of trays fabricated of steel sheet. Available in 4 heights and 3 widths, with horizontal trays, fixed displays or displays with rear storage. The Programme EL has individual or initial modules, both simple and double-sided, and extensions to the same. 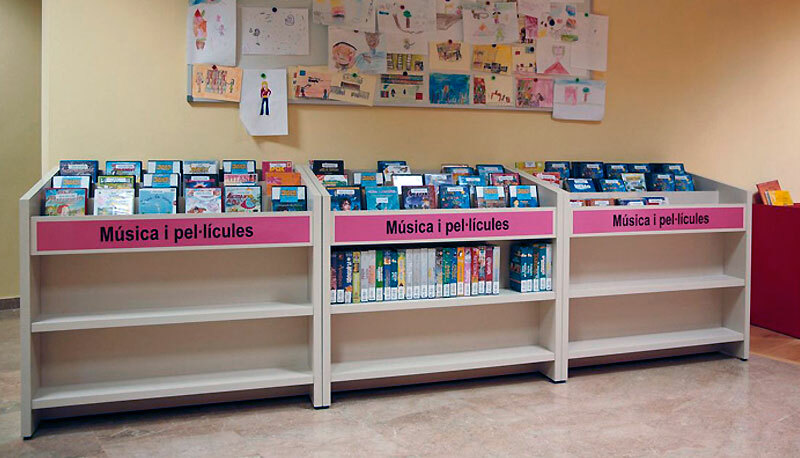 This series is composed of reading tables, DVD/CD furniture, showcases, reading or computer booths, story keeping furniture, reception furniture, book trolleys, etc. 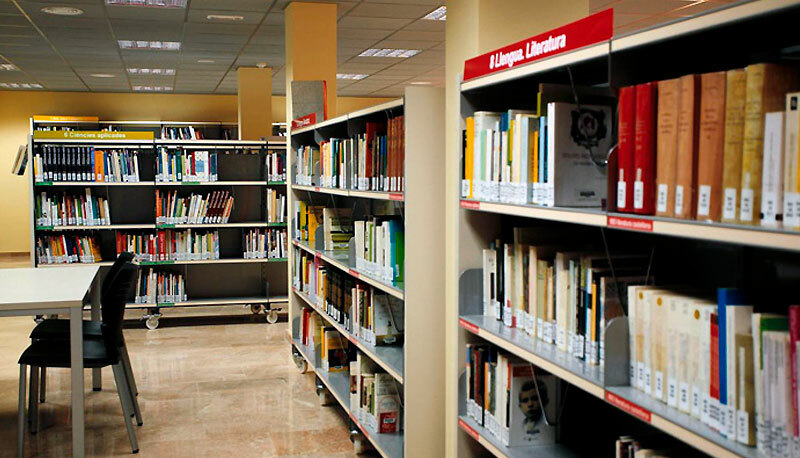 Made of melamine and steel plate with finishes to match the shelves of the EL and EM programmes. 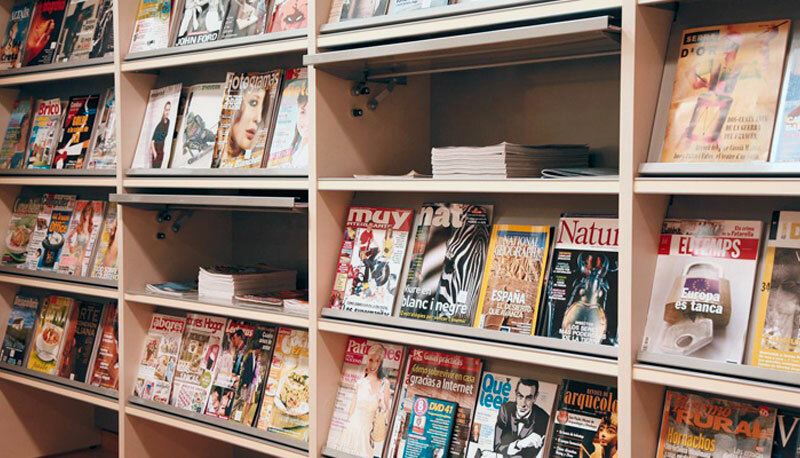 This programme is completed by the library’s own accessories such as lighting kits. the monthly info in your e-mail.